In 2009, journalist Samuel Fromartz was offered the assignment of a lifetime: to travel to France to work in a boulangerie. 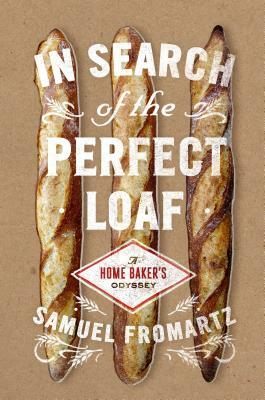 So began his quest to hone not just his homemade baguette which later beat out professional bakeries to win the Best Baguette of D.C. but his knowledge of bread, from seed to table. For the next four years, Fromartz traveled across the United States and Europe, perfecting his sourdough in California, his whole grain rye in Berlin, and his country wheat in the South of France. Along the way, he met historians, millers, farmers, wheat geneticists, sourdough biochemists, and everyone in between, learning about the history of breadmaking, the science of fermentation, and more. The result is an informative yet personal account of bread and breadbaking, complete with detailed recipes, tips, and beautiful photographs. Entertaining and inspiring, this book will be a touchstone for a new generation of bakers and a must-read for anyone who wants to take a deeper look at this deceptively ordinary, exceptionally delicious staple: handmade bread. Samuel Fromartz s work has appeared in The New York Times, The Washington Post, and The Atlantic, among other publications. He lives in Washington, D.C."